Everyone deserves to have a little green in their lives. Especially of the indoor variety. 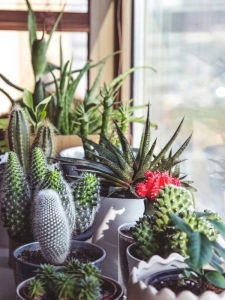 Beyond the fact that they’re aesthetically pleasing, indoor plants have been scientifically proven to minimize stress, improve air quality and reduce the amount of carbon monoxide, pollutants and airborne dust in the air. It’s indisputable that indoor plants are fantastic. But what if you’re one of those people who can’t seem to keep them green? For those challenged with keeping plants thriving, we developed this list of the 25 easiest indoor plants to keep alive. 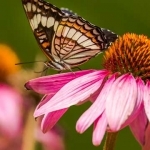 While they require some maintenance, there’s a good chance these plants will endure your neglectful habits — providing you with all those great benefits. Take note of these noteworthy additions to your home. 1. Aloe Vera. While the aloe vera plant has earned a global reputation for its healing properties, it also is a surprisingly easy plant to maintain. These spiky succulents will flourish with infrequent watering. In fact, it’s advisable that you allow the soil to completely dry in between waterings. That means you may only water your plant every two to three weeks. Plop your green addition on a windowsill or near a window where it can get plenty of sunshine. Avoid overwatering the aloe vera, which generally can grow to 3 feet high and 3 feet wide. 2. Air Plant. You really want to talk about low-maintenance? How about plants that don’t require soil? 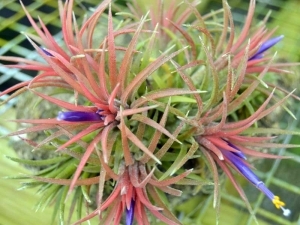 That’s the distinguishing characteristic of air plants that continue to make them a hot commodity among people challenged with growing plants. If you’re looking for absolutely minimal care, place a few in your bathroom where it can capture moisture from your steamy showers. If you prefer placing the air plant elsewhere, on your refrigerator or on a wall in an entryway, pull it out from its container every 2 weeks or so to soak it in water. 3. Anthurium. This tropical plant also is a noteworthy addition to the list of easy growers. The anthurium andraeanm, also known as the flamingo lily, will bring plenty of color into your life. Its vibrant flowers (or spathes) will bloom for eight weeks or more at a time. Stature? Count on it growing to about 3 feet high. 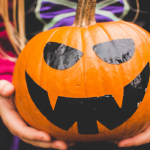 Since the dark green leaves can be toxic to plants and children, be careful to keep them out of reach of the vulnerable members of your family. These plants thrive with medium to bright light and slightly moistened soil. 4. Areca Palm. Bring home a bit of the tropics with the Areca Palm (Dypsis lutescens) plant, which is among the boldest plants in the list — able to grow to 6 feet or 7 feet. If you really want it reach its maximum height, place it in a spacious pot in an area with indirect light. As for watering, plan on bringing on the moisture every other week. 5. Asparagus Fern. This lush plant will maintain its needle=like leaves year round with minimal care. With its small white flowers and bright red berries, the asparagus fern (A. sprengeri) gives off a Christmas vibe during the holidays and year-round. Just keep in mind that the berries can be poisonous to children and pets. Keep it out of reach of these family members. This plant grows to 18 inches to 36 inches high and thrives in medium to bright light. Moderate watering will keep it flourishing. 6. Bromeliads. Although they’re regularly associated with outdoor plants, bromeliads (Bromeliaceae) are great tropical plants to bring indoors. 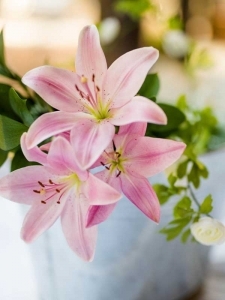 Show them some love by placing them in a bit of bright light (no direct sun) and watering them intermittently. Avoid over watering to keep the plant from rotting. More than likely, you will only have to repot this plant every 5 years or so. 7. Cactus. A member of the succulent family, cacti perhaps has the most well-deserved reputation for being maintenance free. For that reason, there’s no reason you can’t bring this plant indoors for a care-free option. If your house maintains warm temperatures year-round, whether because of your climate or central heat, it’s a great candidate to be a new home for cacti. Expose these plants to some sun and occasional watering. 8. Cast-iron Plant. When you think of the attributes of a cast iron, you’ll understand why this moniker has been assigned to the Aspidistra elatior plant — it’s nearly impossible to destroy. It truly is able to withstand your neglect. 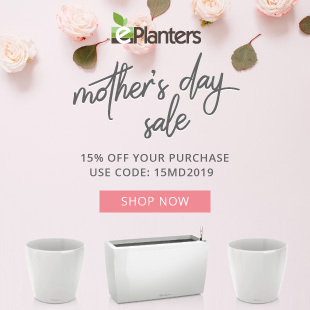 Able to thrive in low-light areas, this plant does well in environments like office spaces, bathrooms or kitchens that don’t receive a lot of direct sunlight. The low-profile plant will grow to about 2 feet tall and 2 feet wide. Keep the soil evenly moist or barely moist during the fall and winter. 9. Chinese Evergreen. If you’re living in a city apartment or a home that has rooms in with little exposure to light, the Chinese evergreen plant (Aglaonema) can be the ideal green addition. With its distinct arching variegated leaves of silver or gray, this slow-growing plant can grow to 3 feet high and 3 feet wide. It will do well in low to medium light and evenly moist soil. 10. Dumb Cane. Who says low-maintenance indoor plants have to be wallflowers? Choose the Dumb Cane (Dieffenbachia) for its dramatic tropical looks. 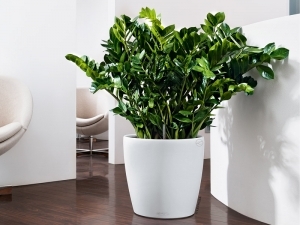 With its large variegated leaves, this plant easily makes a statement in any room. And even better? It’s on our list of easy-to-care-for plants. Keep it in normal room temperatures in medium to low light. Don’t overdo it on the watering; this plant does well with evenly moist soil. 11. Elephant’s Ear. Another low-maintenance plant with a high profile is the Elephant’s Ear (Alocasia and colocasia) which features palm-like leaves but is not actually a member of the palm family. This exotic-looking tropical plant, which has a distinct thick trunk, is classified as a succulent from the lily family. 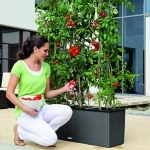 It adapts well to dry environments and infrequent watering. Avoid watering until the soil is dry. 12. English Ivy. If you prefer a more traditional presentation when it comes to indoor plants, turn your attention to the English ivy (Hedera helix), one of the most classic plants to make its way into our homes. Whether you plant it in a hanging basket or a regular pot, the compact English ivy manages to thrive in evenly moistened soil and cool environments. The stems lend themselves to a draping effect, which also makes it ideal for placing on shelves. 13. Fiddle Leaf Fig. Want some drama without all the fuss and upkeep? Invest in a fiddle leaf fig (Ficus lyrata), which stands up to your neglect. With its large, thick foliage and stately height (or at least potential height of 6 feet or more), the fiddle leaf fig tree will have a commanding presence in your home — even if you’re seldom there to care for it. Give this plant some exposure to medium to bright light and occasional watering. You can allow the soil to slight dry out before watering it again. 14. Fiscus. When you want to bring a tree indoors but don’t want to worry about significant upkeep, many plant growers stand behind the fiscus as the one to do the job. These plants, which are often sold with a braided stem system, feature attractive, glossy leaves. Since this plant does not like to be moved, make sure you select a location that has bright light during the summer and moderate light in the winter. Allow the soil to dry before watering. Fertilize occasionally only during the summer. The fiscus can reach heights to 12 feet. 15. Jade. Classified as a succulent, the jade plant (Crassula ovata) easily earns its low-maintenance reputation among plant lovers. Noted for its thick leaves and intriguing branches, this plant manages to thrive in all types of growing conditions, including subpar soil, dry soil and indirect sunlight. For the best results, keep the soil relatively dry and place it in areas with bright light and average room temperatures. Avoid overwatering this stunning plant. 16. Peace Lily. Among the most popular indoor plants, the peace lily (Spathiphyllum) features distinctive curved white blooms and deep green leaves that provide a great contrast. You can place this plant in rooms with little light and it will still survive. Keep the soil slightly moistened for ideal growing conditions. This plant reaches heights of up to 6 feet. 17. Philodendron. Among the fastest-growing on this list of easy-to-care-for plants, the philodendron (Philodendreae) features heart-shaped, dark green leaves. You’ll find it in just about any shop that sells plants because of its easy care nature. The plant comes in two main types — vining and non-climbing. If you select a vining philodendron, you will need to insert a post into the soil so that it can climb. The plant adapts well to rooms with low light. Keep it away for children and pets. The leaves can be poisonous when consumed. 18. Pothos. The varieties of this plant, including the popular Golden Pothos, have been rated among the easiest indoor houseplants to grow for generations. Whether you keep it in dry soil, moist soil, bright light or medium light, this hardy plant will thrive through it all. When confined to planters, the pothos (Epipremnum aureum) will grow up to 6 to 10 feet. To encourage fullness, prune it occasionally. Avoid over watering this plant. It also is known to be great in the job of purifying your indoor air and counteracting the carbon monoxide in your rooms. 19. Rabbit’s Ear. Bring home the exotic — a plant that features fuzzy leaves that needs little watering to maintain its good looks. The Rabbit’s Ear plant (Ruttya Fruticosa) is classified as a member of the kalanchoe family. It only requires minimal watering because the leaves hold on to the moisture that it needs. 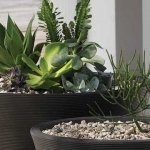 Often grown outdoors, these drought-tolerant plants transition very well to indoor environments. 20. Rubber Plant. 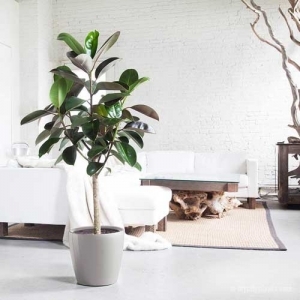 The rubber tree plant (Ficus elastica) is another easy-to-grow indoor house plant that can grow to heights of up to 8 feet if you let it. Place it in areas that have medium to bright sunlight. Don’t feel compelled to water it frequently. This plant will do well if you let the soil dry out before you water it again. When the rubber plant seems to be outgrowing its pot, place it in a larger one. This green addition to your home also is widely recognized for its ability to purify indoor air. 21. Snake Plant. Among the most popular indoor plants in many homes is the snake plant, also known as mother-in-law’s tongue. With its distinctive pointy, dark green leaves, the snake plant (Sansevieria trifasciata ) features an architectural profile that adds visual interest to your home. No matter what type of lighting it is exposed to, the snake plant will flourish. Expect it to grow to anywhere from 6 inches to 48 inches tall and 36 inches wide. Keep the soil moderately dry. 22. Spider Plant. Another popular green addition to many homes, the spider plant (Chlorophytum comosum) ranks among the easiest plants to grow indoors. You can plant it in a regular pot or a hanging plant container for a showy display. Place the spider plant in bright to medium light and keep the soil is evenly moist for great growing conditions. 23. Tradescantia. With its trailing stems, the tradescantias (Tradescantia spp.) features an interesting intersecting profile — the plant features stems that seem to go off in different directions. These plants, which can feature green, purple or variegated leaves, are ideal for hanging baskets. Place them in medium to bright light and moderately dry soil to watch them thrive. 24. Umbrella Tree. Another low-maintenance plant that makes the easy-to-care-for list, the umbrella tree (Schefflera or Heptapleurum) will feel right at home in a variety of spaces. It tolerates a low-maintenance routine, including watering of just two to three times a month. Place it in an area that gets indirect sunlight and it will do just fine. Besides looking super gorgeous, this plant performs well at purifying the air. Bring it home as a statement piece. 25. ZZ Plant. With its lush, tropical looking, glossy leaves, the ZZ plant (Zamioculcas zamiifolia) also is tolerant of your brown thumbs. This plant continues to look amazing after your low-maintenance routine of low- to medium-light and infrequent watering. Although it’s at end because of its Z name, it’s a worthy addition to this list of 25 easy-to-care for indoor plants. If you’re challenged with keeping things alive, there’s no reason to avoid bringing plenty of green into your living or working spaces with these easy-to-care-for plants. With a little bit of care, you’ll be able to enjoy all the benefits these natural beauties can bring into your indoor environment.